Quick question, how are seats at the quest in the hawks nest section 150 or 147, are you better off with those seats, or for a comparable price, is it a better view in upper levels near the middle. Also, do ticket prices tend to drop a little bit, or is it best to buy now? I'm thinking of going to the home opener against the niners. Not really a bad seat in the house. First I have to say that going to the opener against the 9rs is an absolute must, get your tickets early because if you wait you'll be watching it on TV or paying 3 times as much. I've attended many games in many different areas of the stadium. I personally prefer up high mid field to see plays develop. 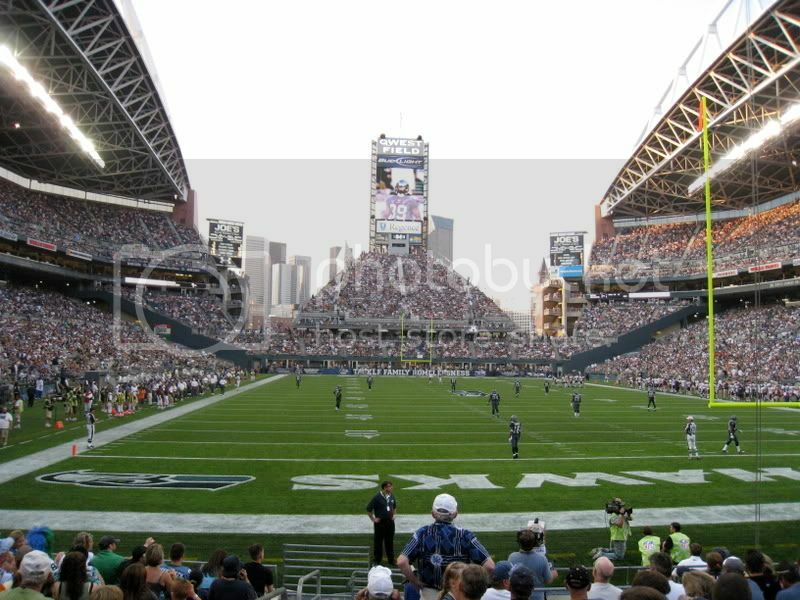 Check the 3D seating chart in the ticket section of Seahawks.com it provides a decent view of the field from most sections in the stadium. The only pre-requsite for game day is to BRING THE NOISE! thanks, I checked the site before, but the seating chart doesn't always tell the whole picture. If anyone has any 1st hand experience from both sections, any input is appreciated...I'm travelling pretty far to come, so I want to make sure it's a great experience. Radish: I couldn't find anything on the site in regards to ticket price changes as we get closer, could you let me know about that? ^ This. Oh and if you are going to sit down in your seat, you might as well just stay home. Ummm, yeah. Not sure what you mean about ticket prices as we get closer. There will be pretty much zero tickets available from the Seahawks directly, any tickets they have will sell out in minutes when they go on sale to the public. It is entirely conjecture as to what ticket prices would do between now and then. That said, typically this time of year there are only a few people who list tickets -- because they don't actually have them in hand and won't until mid July -- and there are comparatively few buyers too as most people don't latch on to the fact that football is coming until training camp opens. So, generally people would recommend if you are buying from StubHub, RazorGator, NFL Ticket Exchange, eBay, Craigslist, or what have you, that you wait until more tickets are listed, typically after the single tickets go on sale. Conversely, I expect insane demand for that particular game, and prices will probably get stratospheric. Seahawk tix are gone I would assume. Brokers and season ticket holders get first crack at single game tix. They will be sold out. Especially the Niner home opener and the Saints game. 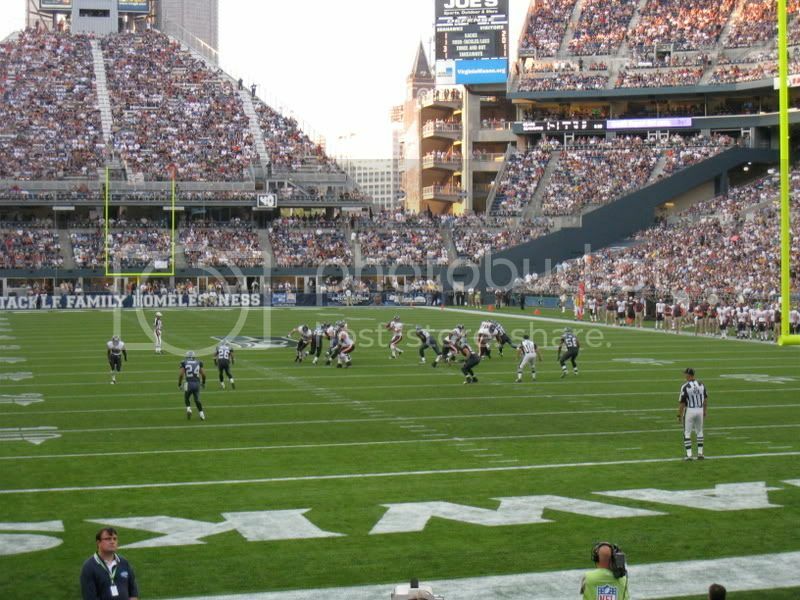 Also to the Op its Century Link. Buy the Hawks Nest seats - Best dollar for dollar value in the stadium. I've often said the view from the end-zone is like you are playing Madden - you often see holes open up that just aren't visible when you are sitting on the side. Pretty direct views from my seats in the South End Zone. Hawks nest would be from a little higher up angle, but awesome nevertheless. Ooops...how'd that get in there?? Jazzhawk wrote: Pretty direct views from my seats in the South End Zone. Hawks nest would be from a little higher up angle, but awesome nevertheless. South endzone is my favorite seat location. When I would come up for games I always bought seats in the SEZ. I will say that during the recent dark ages 08-11 the crowd noise was embarrassing. Last year I was upper SEZ next to 12 flag and it was awesome. I had half a season ticket and that's where the real fans kick it.